Draft: 2001, St. Louis Cardinals, 2nd rd. Daniel John Haren...played collegiately and won 28 games in 3 seasons at Pepperdine University...in 2001, as a junior, earned All-American honors and was named West Coast Conference Player of the Year...often served as the Waves' designated hitter...graduated from Bishop Amat (CA) High in La Puente, CA...earned All-League and All-Valley honors and participated in Area Code games. Went 13-11 with 4.02 ERA (186.0 IP/83 ER) in 32 starts with Dodgers. Marked 10 th consecutive season reaching 10-or-more wins...Ranked eighth among National League starters with 1.74 walks/9.0 innings, issuing just 36 free passes in 32 starts...Owned 10th-highest strikeout/walk ratio among NL starters at 4.03 (145/36)...Began season with wins in first four decisions, posting 2.39 ERA (37.2/10) over six-start span...Went season-high 7.1 innings in April 19 win vs. Arizona. Allowed five runs (two earned) on seven hits with no walks and five strikeouts...Equaled season high in innings pitched on August 6 at Angels, allowing one run on three hits with no walks and four strikeouts...Suffered through longest losing streak of career from July 5-August 1, dropping five straight decisions...Went 8-0 with 2.01 ERA (62.2/14) in nine starts lasting more than 6.0 innings...Went 7-4 with a 3.32 ERA (95.0/35) in 16 home starts. On road, posted a 6-7 record with a 4.75 ERA (91.0/48) in 16 assignments. Won 12 games and again recorded 30 starts, but sustained 13 losses while ERA rose to 4.33 in final season with the Angels...earned the win, Sept. 5 at OAK, to record 10th win and 8th straight double-digit win campaign...while on DL, July 3-22, missed 2 starts due to lower back tightness...DL stint was first of career...also missed a start for the first time in 10-year career...was 6-5 with a 3.58 ERA in 13 starts after the DL stint (had been 6-8 with a 4.68 ERA before visiting the DL)...closed strong, allowing 3 earned runs or less in final 8 starts...went 4-3 with a 2.81 ERA during the 8-start span...did not issue a walk 8 times in 30 starts...26 of 34 starting assignments rendered quality starts (76%). Finished first full season as an Angel with a 16-10 record with four completegames, three shutouts and a 3.17 ERA (238.1 IP - 84 ER) in 34 starts...His 238.1innings pitched represent a new career-best while his 16 wins tied career-highset in 2008 with Arizona...Among A.L. league leaders, ranked tied for first instarts, third in innings pitched, tied for fourth in both wins and completegames, second in walks per nine innings (1.246) and 10th in strikeouts (192)...Walked just 33 batters in 2011, his lowest career-mark in a full season...Hisstrikeout-to-walk ratio of 5.82 led A.L....Came eight strikeouts shy of fourthconsecutive season with 200+ punch outs...Earned seventh straight homevictory, September 10 vs. New York, registering his fifth career shutout...Marked first time an Angel shutout the Yankees while allowing four hits or lesssince Chuck Finley did so on May 23, 1995 at Angel Stadium...Surpassed 215 IP for the seventh consecutive season,the longest active streak in the Majors (ranks first during that span with 163 quality starts)...Recorded 100thcareer victory with fourth career shutout, July 5 vs. Detroit...Gave up just two hits while striking out nine battersand walking zero, marking just the third time in club history a pitcher has thrown a shutout while allowing two orfewer hits with no walks and nine strikeouts or more...With second consecutive 1-0 victory, became 34th activeMLB pitcher with 100 or more wins...Reached 100-strikeout plateau July 5, joining teammates Jered Weaver andErvin Santana as the first trio in club history to reach the mark before the All-Star Break...Marks just the fifth timesince World War II that a team has had three pitchers with 100+ strikeouts before the break (Stats, LLC)...Joinedteammate Weaver as the first two pitchers to post a sub-1.00 ERA through their team's first 12 games since GregMaddux and Tom Glavine with Atlanta in 1998...Tossed third career shutout and first career one-hit game, April 12 vs.Cleveland...Became 11th Angels pitcher (17th time) to toss a one-hitter and first since John Lackey in 2006...Victorymarked third in one week span, making Haren the first pitcher in nearly 20 years to win three games in one week withtwo of them as the starting pitcher (Bob Walk, 1991) - ELIAS...Earned victory in relief, April 9 vs. Toronto, markingfirst relief appearance since 2004 World Series...Had made 203 starts between relief appearances. Acquired by Angels, July 25 in exchange for LHP Joe Saunders, RHP RafaelRodriguez, LHP Patrick Corbin and LHP Tyler Skaggs...With Angels was 5-4with a 2.87 ERA (94.0 IP - 30 ER) in 14 starts...For the season, finished12-12 overall with two complete games and a 3.91 ERA (235 IP - 102 ER)in 35 starts between the Diamondbacks and Angels...Set career-highs instarts and innings pitched, notching his sixth consecutive season with30-or-more starts and 215-plus innings pitched (see box right)...Finishedseason tied for Majors lead with 35 starts and ranked seventh in strikeouts,tied for fourth in innings pitched, third in hits allowed and fifth in home runs allowed...Made Angels debut, July 26 vs.Boston, taking the loss in a 6-3 contest (4.2 IP, 7 H, 2 R, 2 ER, 8 SO, 1 HR)...Earned first victory as a Halo, August 10 vs.Kansas City (7 IP, 5 H, 1 R, 1 ER, 1 BB, 3 SO)...Tossed six innings-or-more in 13 of 14 starts with Halos, including a streakof 13 straight to finish the season...Allowed two earned runs-or-less in 10 of 14 starts with Angels...Posted a 4-0 recordwith a 1.70 ERA (53 IP - 10 ER) in final eight starts while striking out 48 batters...Halos supported Haren with threeruns-or-less in nine of his 14 starts with the club...Since 2005, his six consecutive seasons of 215-plus innings pitchedis the longest active streak in the Majors, ranking first during that span with 137 quality starts. Went 14-10 with a 3.14 ERA (80 ER in 229.1 IP) in 33 starts as he set career highs with 229.1 innings pitched and 223 strikeouts and career lows with 192 hits allowed and 38 walks issued (min. 30 starts) while his 3.14 ERA was the second-lowest of his career... His career-best 223 strikeouts marked the second time he has surpassed 200 strike¬outs and the ninth 200-plus strikeout season in D-backs history (also Randy Johnson, 1999-2002 and 2004; Curt Schilling, 2001-02)... Worked a career-high 229.1 innings, his fifth consecutive season of 215.0-plus innings pitched, the longest active streak in the Majors... Among D-backs' single-season pitching leaders, he ranks third with a 1.003 WHIP, fourth with a 1.491 walks per 9.0-innings ratio, fifth with a 5.868 strikeouts-to-walk ratio, and eighth with a 7.535 hits per 9.0-innings ratio... Among NL hurlers, Haren finished first with a 5.87 strikeout-to-walk ratio; second with 229.1 innings pitched and a 1.49 walks per 9.0 innings ratio; third with 223 strike¬outs; tied for fourth with 24 quality starts; sixth with a .224 opponents average; tied for sixth with a .635 opponents OPS; tied for 12th with 10 wins; and 13th with a 3.14 ERA (80 ER in 229.1 IP)... Rated by Baseball America as having the Best Control and as the third-Best Pitcher in the NL... Hit .247 at the plate (18-for-73) with 6 runs scored, 5 doubles, a homer and 10 RBI...had 2 multi-hit games, including a career-high-tying 3 hits on June 2 @ Dodgers... Pitched at least 8.0 innings and allowed 1 run or less on May 2 @ Brewers, June 12 vs. Astros, July 10 vs. Marlins, July 18 @ Cardinals and Aug. 14 vs. Dodgers, going 5-0 with a 0.86 ERA (4 ER in 42.0 IP) and a .142 opponents average (20-for-141) with 9 walks and 44 strikeouts in those games... Went 0-3 with a 1.89 ERA in his first 3 starts, becoming the second pitcher since 1983 to lose his first 3 starts and have an ERA below 2.00, joining Juan Cruz, who was 0-3 with a 1.80 ERA for the Cubs in 2002... Posted a 1.54 ERA in April, the third best ERA in April in franchise history behind Randy Johnson's 0.91 ERA in 2000 and 1.37 ERA in 2002... Had back-to-back double-digit strikeout games for the first time in his career with 10 strikeouts on April 27 vs. Cubs and a season-high 11 strikeouts on May 2 @ Brew¬ers... Tossed 10 straight quality starts from May 28-July 18, going 7-1 with a 1.44 ERA (12 ER in 75.0 IP) and .169 opponents average (45-for-267) with 9 walks and 74 strike¬outs... Tossed his first career 2-hit, complete game in an 8-1 win vs. Astros on June 12, the 21st 2-hitter in franchise history...Hit his first career home run on June 30 @ Reds, the latter of back-to-back home runs with Miguel Montero in the sixth inning, the first consecutive blasts by a catcher and pitcher since the Braves' Brian McCann and Jorge Sosa in 2006... Had a stellar month in June, posting a 3-1 record with 1.64 ERA (8 ER in 44.0) in 6 starts, all quality outings...led the Majors with a .151 opponents batting average (23-for-152) and ranked second with 42 strikeouts and sixth with a 1.64 ERA (min. 26 IP)... Went 4-0 with a 0.90 ERA (3 ER in 30.0 IP) during a 4-game winning streak from June 30-July 18...held opposition to a .173 average (19-for-110) with 4 walks and 33 strikeouts... Tossed his second career complete-game shutout, 8-0, on July 10 vs. Marlins, allowing 4 hits and striking out 10...only two other pitchers in D-backs history pitched a shutout, allowing no more than 4 hits while striking out at least 10 as Curt Schilling and Randy Johnson each had four such games. .. His 10 strikeouts on July 10 vs. Marlins marked his third double-digit strikeout game of the season and seventh of his career... His 9 wins and 2.01 ERA at the All-Star break marked the first time that a NL pitcher had at least 9 wins and an ERA that low at the break since 2000, when Randy Johnson (14 wins, 1.80 ERA) and Danny Graves (9 wins, 1.99 ERA) did it...became the first pitcher in Major League history to reach the All-Star break leading the Majors in ERA (2.01), strikeout to walk ratio (8.1), WHIP (0.81) and opponents' on-base percentage (.219)... Named to his second NL All-Star team for the D-backs, his third straight trip to the Midsummer Classic, and tossed a scoreless fourth inning with 1 hit allowed... Suffered an 8-1 loss on Aug. 19 @ Phillies, allowing a season-high 6 runs on a season-high tying 9 hits and 1 walk with 6 strikeouts over 5.0 frames...marked only the third time since 2007 that he's allowed 6 or more runs in a start... Had a 2-game winning streak spanning 5 quality starts from Aug. 25-Sept. 15, during which he posted a 3.06 ERA (12 ER in 35.1 IP) with a .237 opponents average (31-for-131) with 6 walks and 34 strikeouts. Posted career-highs with 16 wins and 206 strikeouts in his first season with the Dbacks...led the National League in strikeout to walk ratio (5.15), was second in strikeoutsand walks per 9 innings (1.67), sixth in innings pitched and tied for seventh in wins...since2005, ranks fifth in innings pitched (878.2), tied for fifth in fewest walks allowed (193),seventh in strikeouts (737) and 10th in wins (59) among all Major League pitchers...His 23 quality starts ranked fourth among NL pitchers...with teammate Brandon Webb,their combined total of 47 quality starts tied for most among teammates in the MajorLeagues with San Fracnsico's Tim Lincecum and Matt Cain...his 92 quality starts since2005 rank third in the big leagues...Was selected to his second consecutive All-Star Game...allowed 2 hits, a walk and struckout 2 in 2.0 innings (fifth and sixth innings) in the game at Yankee Stadium in NewYork...Earned NL Pitcher of the Month honors in June...was 3-0 with a league-best 1.32 ERA(6 ER in 41.0 IP) and 36 strikeouts in 6 starts to boost his career mark to 13-3 with a 2.86ERA (51 ER in 160.1 IP) in 24 career games during the month of June...Earned his first win as a D-back after he allowed 3 runs (1 earned) on 6 hits with 5 strikeoutsin 6.0 innings in the club's home opener against the Dodgers on April 7...went on towin his next 2 starts to give him a 3-0 record in his first 4 games with the D-backs...Allowed only 4 hits and 3 walks while striking out 5 in 7.0 scoreless to earn the win inthe D-backs' 5-0 victory vs. Washington on June 1...the victory started a run in which hewent 9-2 with a 2.70 ERA (31 ER in 103.1 IP) while striking out 100 and allowing only18 walks during 15 starts to give him a 14-6 season record on Aug. 20...Was unbeaten in interleague play for the second consecutive season after going 3-0 witha 1.71 ERA (4 ER in 21.0 IP)...was 4-0 with a 2.25 ERA (7 ER in 28.0 IP) against NLopponents with the A's in 2007...is 10-2 with a 2.68 ERA (31 ER in 104.0 IP) in 14 interleaguestarts in his career...his 10 interleague wins lead the Majors since 2005...Tied a career-best with 12 strikeouts and allowed only 4 hits and 2 walks to earn his firstcareer shutout on Sept. 16 against San Francisco...it was his sixth career complete gameand first since July 31, 2006 at Los Angeles Angels...joined Randy Johnson (6 times) andCurt Schilling (twice) as the only Arizona pitchers to strike out at least a dozen batters ina shutout...Struck out the Rockies' Seth Smith in the second inning on Sept. 26 at Chase Field toreach the 200-strikeout plateau for the first time in his career and become only the thirdD-backs player to accomplish the feat...Johnson struck out 200-plus batters from 1999-2002 and 2004 while Schilling did it from 2001-02...Hit .211 at the plate (16-for-76) with 8 runs scored, 7 doubles and 6 RBI, includinga game-winning RBI...had 3 multi-hit games, including a career-best 3-hits with a runscored and RBI on Sept. 21 at Colorado. Tied for the AL-lead in games started (34), ranked third in ERA (3.07), fifth in innings pitched (222.2), eighth in strikeouts (192) and had the eighth-best strikeout to walk ratio (3.49)...Set career-lows in opponents batting average (.247), on-base percentage (.292) and slugging percentage (.396)...the on-base percentage was sixth-lowest in the AL and the batting average was 10th-best...Allowed a .181 average with runners in scoring position, which was the lowest mark in the AL and second-lowest in the Majors (John Smoltz, Atlanta, .178)...Was 10-3 with a 2.30 ERA (33 ER in 129.1 IP) and .205 opponents batting average in 19 starts before the All-Star Break and 5-6 with a 4.15 ERA (43 IP in 93.1 IP) and .298 opponents batting average in 15 starts after the break...led the AL in ERA at the break and tied for fourth in wins...his ERA was seventh-lowest in Oakland history before the break and the lowest since Mike Moore had a 2.22 ERA in 1989...Named to his first All-Star team and started for the AL to become the sixth Oakland pitcher to start an All-Star game (Vida Blue 1971 and 1975, Catfish Hunter 1973, Dave Stewart 1989, Bob Welch 1990, Mark Mulder 2004)...received a no-decision, tossing 2.0 innings, allowing 1 run off 2 hits with a walk and 2 strikeouts in the AL's 5-4 win at AT&T Park in San Francisco. Went 3-2 with a 1.60 ERA (7 ER in 39.1 IP) in 6 starts in April and 3-0 with a 1.67 ERA (8 ER in 43.0 IP) in 6 starts in May...led the AL in ERA in both April and May and was named AL Pitcher of the Month in May, his first such award...Went 3-0 with a 2.55 ERA (10 ER in 35.1 IP) in 5 starts in June...had the eighth-best June ERA in the AL...Did not allow more than 5 runs in a start all year, joining Vida Blue (1971) and Catfish Hunter (1972) as the only starting pitchers in Oakland history to go an entire season without allowing more than 5 runs in a game (min. 27 starts)...Received run support of 2 runs or fewer in 12 of his 34 starts...was 0-8 in those starts and 15-1 in his 22 starts with more than 2 runs of support...is now 45-7 (.865) with three or more runs of support in his career...Was 4-0 with a 2.25 ERA (7 ER in 28 IP) and .200 opponents batting average in 4 interleague starts and tied for the interleague lead in wins with Detroit's Justin Verlander...is now 7-2 with a 2.93 ERA (27 ER in 83.0 IP) and .219 (66-for-301) opponents batting average in 12 career interleague starts...Went 6-1 against AL East teams and is now 17-8 in his career against the AL East compared to 32-36 against all other divisions...Made his first career Opening Day start on April 2 at Seattle, taking the loss, 4-0...Career-high 10-game winning streak over a 15-start stretch from April 18-July 1...had a 2.23 ERA and .199 opponents batting average during the streak, which was the longest in the Majors in 2007...Made his 100th career appearance and combined with 2 others on a 5-hit shutout in a 3-0 win over the Angels on April 18...Streak of 5 consecutive starts from May 14-June 4 where he tossed 7.0 or more innings and allowed 4 or fewer hits...was the first pitcher in Athletics history to do that...Made his 100th career start and had a no-decision in a 5-4, 11-inning win over Boston on June 4. Haren led the A's in strikeouts (176), innings (223), losses (13), home runs (31) and wild pitches (10). He had a strikeout to walk ratio of 3.91, which ranks first in Athletics history. He walked an average of 1.82 (45 in 223 innings) per nine innings, which ranked eighth lowest in the American League and fifth lowest in Oakland history. He walked two or fewer batters in 31 of his 34 starts, including zero nine times, in 2006. Haren had a career low .301 opponents on-base percentage, which was fifth lowest in the AL. He had a career high scoreless streak of 19 innings from May 14-24. His best month came in June, when he went 2-1 with a 2.45 ERA. Spent his first full season in the Majors and was 14-12 with a 3.73 ERA in 34 starts...tied with Barry Zito for the A's team lead in wins, marking the first time the A's have not had a 15-game winner since 1999...his 34 starts tied for third most in the American League...he led the A's and tied for fourth in the AL in complete games (3)...also ranked sixth in the AL in strikeouts (163) and ninth in innings pitched (217)...struggled for the first two months of the season, going 1-7 with a 4.87 ERA over his first 10 starts through May 26...went 13-5 with a 3.33 ERA (59 er in 159.2 ip) over his final 24 starts beginning on May 31...the 13 wins tied for second most in the AL over that span to Bartolo Colon (15) and his ERA was sixth best...walked two batters or fewer in 27 of his 34 starts, including 24 of his final 25...had nine starts without a walk...walked 27 batters in 50.1 innings (4.83 per nine innings) over his first nine starts but issued just 26 free passes in 166.2 innings (1.40 per nine innings) over his last 25 starts...had a strikeout-to-walk ratio of 3.08 to 1, 10th best in the AL...allowed a .255 opponents batting average, which broke down to .252 (105-for-416) with 13 home runs against left-handed hitters and .258 (107-for-414) with 13 home runs against right-handed hitters...allowed a total of 26 home runs, which tied with Zito for the A's team lead, 17 of which were solo shots...his opponents average dropped to .238 (44-for-185) with runners in scoring position, .156 (12-for-77) with RISP and two outs and .067 (1-for-15) with the bases loaded...opponents are now 3-for-24 (.125) with a grand slam and eight RBIs with the bases loaded in his career...had the best run support on the A's pitching staff and ranked 10th in the AL with a mark of 5.93...the A's scored 10 or more runs for him five times but he had run support of one run or less in seven of his 12 losses...had run support of 9.77 in his wins (106 r in 97.2 ip) and 2.79 in his losses and no-decisions (37 r in 119.1 ip)...in his career as a starter, he has run support of 9.45 (134 r in 127.2 ip) in his wins and 2.98 (62 r in 187.1 ip) in his losses and no-decisions...is 17-2 in 24 career starts when he receives run support of four or more...opponents grounded into 26 double plays, which was third most in the AL...also ranked seventh in pitches thrown (3367) and tied for 10th in unearned runs allowed (11)...was 9-9 with a 3.09 ERA (48 er in 139.2 ip) in 21 starts at night, compared to 5-3 with a 4.89 ERA (42 er in 77.1 ip) in 13 starts during the day...had the fifth best night ERA in the AL...now has a 3.69 ERA (98 er in 210 ip) in 37 career outings at night and a 4.87 (68 er in 125.2 ip) in 25 games during the day...was 7-7 with a 4.08 ERA in 19 starts before the All-Star break and 7-5 with a 3.29 ERA after the break...is now 7-10 with a 4.74 ERA (73 er in 138.2 ip) in 23 career starts before the All-Star break and 13-12 with a 3.70 ERA (81 er in 197.0 ip) in 39 games (30 starts) after the break...the A's were 21-13 (.618) in his starting assignments, and his teams are 28-25 (.528) in his 53 career starts...tossed seven or more innings in 16 of his 34 starts and allowed two runs or fewer 17 times...had a career high-tying six-game losing streak from April 23 to May 26 as he compiled a 6.10 ERA and .315 opponents batting average over that seven-start stretch...the losing streak tied for third longest in the AL, but he then put together a career-high nine-game winning streak from May 31 to Aug. 7, which tied for the second longest winning streak in the AL in 2005...it equaled the seventh longest winning streak in Oakland history...posted a 3.60 ERA and .259 opponents batting average during the winning streak, which spanned 14 starts...the A's won all five of his no-decisions during the streak, including four extra-inning games...tied an Oakland record with 14 consecutive starts in A's victories, a mark he shares with Chuck Dobson (May 12-July 20, 1971)...struck out a career-high nine batters in the A's 4-2 loss to Seattle on April 29...doubled in the fifth inning on May 21 at San Francisco to snap a 0-for-29 streak dating back to July 30, 2003 at Montreal...went 2-for-5 (.400) with two RBIs in 2005...was charged with his seventh loss of the season on May 26 at Tampa Bay, marking the earliest an A's pitcher has reached seven losses since Mike Mohler lost his seventh decision on May 24, 1997...did not walk a batter over a three-start stretch from May 26 to June 5, to become the first A's pitcher to go three straight starts without a walk since Gil Heredia from August 1-11, 1999...had a streak of 26.1 consecutive innings (97 batters faced) without a walk from May 21 to June 10, which was the third longest such streak by a starter in Oakland history (Lary Sorensen, 29, from July 8-31, 1984; Lew Krausse, 28, from Aug. 15-Sept. 12, 1969)...tossed his first career complete game, a five-hitter, in the A's 10-1 win against Tampa Bay on May 31, to begin his nine-game winning streak...had two RBIs on June 10 at Atlanta to become the first A's pitcher to drive in more than one run in a game since Rollie Fingers knocked in two on June 27, 1972 at Texas...tossed his second career complete game, a seven-hitter, in the A's 6-3 win over San Francisco on June 25...was 5-0 with a 3.09 ERA in six starts in June...the wins tied him with Joe Blanton for most in the AL and marked the first time he had won more than two games in a month...had his third straight no-decision in an extra-inning game on July 17 against Texas, when he tossed a career-high 120 pitches...went 1-0 with a 6.35 ERA in five starts in July...the ERA was seventh highest in the AL...had his winning streak snapped when tossed his third career complete game, a three-hitter in the A's 1-0 loss to Minnesota on August 12...it was the lowest hit total of his career...tossed just 2.2 innings on September 7 against Seattle, the second shortest outing of his career as a starter (1.2 innings at San Francisco on July 8, 2003)...combined to go 6-5 with a 2.63 ERA (23 er in 78.2 ip) in 12 starts in August and September...allowed two runs or fewer in nine of those starts but received run support of one run or less six times...agreed to terms on a four-year contract through 2009 with a club option for 2010 on Sept. 26. Spent the majority of the season at Triple-A Memphis where he led the Pacific Coast League with 150 strikeouts and finished 10th in ERA (4.15)...was 11-4 with a 4.15 ERA in 21 starts...allowed a .276 opponents batting average, including .205 (23 for 112) with runners in scoring position...was named the starter for the PCL in the Triple-A All-Star Game on July 14...retired six of the seven batters he faced with only one batter reaching on a two-base error...was named the PCL All-Star Player of theGame...as a hitter, he batted .385 (10 for 26) with four doubles, four home runs and eight RBI...with St. Louis, he was used mainly in relief making nine appearances out of the pen...also made five starts, including starts in two of his last three games...was 2-2 with a 6.04 ERA (17 er in 25.1 ip) in his five starts and 1-1 with a 2.61 ERA (6 er in 20.2 ip) in relief...was3-3 with a 4.50 ERA in 14 games, five starts, overall...allowed a .265 opponents batting average, including .190 (15 for 79) against left-handers and .330 (31 for 90) against right-handers...had a career-high 11.2 inning scoreless streak from September 8-23...his first appearance in St. Louis came on June 10 at Chicago when he made a spot start for JasonMarquis...suffered the loss, allowing 10 runs on 10 hits in 3.2 innings while walking three...was optioned back to Memphis following the start and was recalled on July 25...pitched the final inning of a 6-0 shutout on July 27 at Cincinnati and struck out two...held the Giants scoreless for 4.1 scoreless innings in relief on July 31 at San Francisco, allowing just one hit...it markedhis longest relief outing of the year...gave up a grand slam to Tony Batista in the 12th inning on August 3 vs. Montreal for his second loss of the season...pitched 1.0 inning allowing just the one hit, but walked three...earned the win on August 15 at Atlanta (10-4) in a spot start for Chris Carpenter...went 5.0 innings for his first ML win since August 11, 2003 and snapped a career high six-game losing streak in the process...gave up three runs and allowed seven hits...defeated Pittsburgh in the first game of a doubleheader on August 20 (6.2 ip, 3 h, 1 r)...was optioned back to Memphis between games of the doubleheader...was recalled from Memphis on August 31...had 4.0 scoreless innings in relief on September 8 at San Diego and had 3.0 scoreless innings on September 14 vs. Houston...notched his third win September 18 vs. Arizona in emergency relief of Carpenter...worked 5.0 innings in a start on September 23 at Milwaukee, matching his career high with six strikeouts while allowing just one run on two hits...had a no decision in the 4-2 Cardinals win...stretched his career-best scoreless innings streak to 11.2 before allowing a third inning run...made his fifth start of the season on September 28 at Houston, a 2-1 Redbirdloss...received his third loss of the year allowing two earned runs on six hits while striking out six for the second straight game...worked 1.1 scoreless innings in relief in the season finale on October 3 vs. Milwaukee...appeared in five postseasongames for St. Louis, all in relief, and compiled a 2.16 ERA...had one decision, a win in Game 2 of the NLDS against Los Angeles, an 8-3 Cardinals win (2.0 ip, 1 h, 1 bb, 3 so)...tossed 4.2 scoreless innings in four World Series outings against Boston. Rookie right-hander began the season at Double-A Tennessee and by season's end had logged 14 starts and more then 70 innings pitched at the Major League level...in his third pro season, he split time between Tennessee and Memphis,prior to earning first Major League stint...became the seventh pitcher to make a start for the Cardinals in 2003...was theyoungest pitcher to make a starting debut for Cardinals since Bud Smith (21 years) did so in 2001...made his big league debuton June 30 vs. San Francisco and suffered a 5-1 loss after allowing four runs, two earned, on seven hits through 6.0 innings...ended up going 3-7 with a 5.08 ERA in 14 starts with St. Louis...prior to his big league promotion, he was selected to play for Team USA in the All-Star Futures Game...the Cardinals posted a 4-10 record in his 14 starts, losing the last six ofthose starts while being outscored 42-22...notched his first big league win on July 19 at Los Angeles, defeating Kevin Brownand the Dodgers 3-1 (6.0 ip, 6 h, 1 r)...tossed 7.0 innings of shutout ball on July 30 at Montreal, allowing just four hits in theCards' 11-1 dismantling of the Expos...allowed just two of his 25 batters faced to reach second base...began the season atDouble-A Tennessee and went 6-0 with an 0.82 ERA in eight starts...held Southern League opponents to one or fewer earnedruns in all eight starts...was named the organization's Pitcher of the Month for April, after going 4-0 with 1.09 ERA (26 so, 3bb) in 33.0 innings...tossed 19.2 scoreless innings over three starts from April 22 to May 3...fanned a season high 11 battersin his final Double-A start on May 13 at Huntsville...earned a promotion to Triple-A Memphis on May 15...made his Memphisdebut on May 18 at Oklahoma, suffering the loss by allowing six runs on eight hits in 2.2 innings...picked up his first careerTriple-A win on June 8 at Salt Lake by allowing just two runs on eight hits in 6.0 innings...shutout Salt Lake on four hits overfirst 5.0 innings. Split his season between Single-A Peoria of the Midwest League and Single-A Potomac of the Carolina League...at Potomac went 3-6 with a 3.62 ERA in 14 starts...lost three of his final four starts (one ND) of the season, allowing 16 runs (14 earned) on 30 hits in 23.1 innings (5.40 ERA)...struck out a season-high 10 batters in 6.0 innings in a loss atKinston on July 24...tossed a season high 8.0 innings in back-to-back starts on June 26 vs. Frederick Keyes and July 1 atKinston...picked up first win for Potomac in that June 26 start, allowing two unearned runs on just five hits...compiled a stellar1.95 ERA in 14 starts for Peoria...won three straight starts from May 22 to June 1...recorded nine strikeouts twice: April 29at Clinton and May 22 at Winston Salem...fired his only complete game on April 29 at Clinton (9.0 ip, 7 h, 1 r, 1 er, 9 so)...earnedhis first win for Peoria in his second start of the season on April 12 vs. Beloit...held Beloit scoreless in 7.2 innings of work (8h)...went 5-0 with a 1.24 ERA (6 er in 43.2 ip) on the road...allowed just a .171 batting average to lefties. Spent the entire season at Single-A New Jersey of the New York-Penn League...went 3-3 with a 3.10 ERA in 12 games, eight starts...fanned 57 batters in 52.1 innings of work...earned first and only minor league save on July 15 vs. Lowell (4.0 ip, 1 r, 3 so)...picked up his first minor league win in relief on July 25 at Williamsport, tossing 3.0 scoreless innings...allowed just oneearned run (12.0 ip, 6 h, 15 so) in his final two starts vs. Mahoning Valley on September 5 and Lowell on August 31, winningboth starts...allowed just three earned runs (four total) over final four starts of the season (1.23 ERA)...allowed opponents justa .186 (8 for 43) batting average as a reliever...fanned 43 batters in 40.2 innings of work as starter. November 2, 2015 RHP Dan Haren elected free agency. October 22, 2015 Chicago Cubs activated RHP Dan Haren. October 7, 2015 Chicago Cubs reassigned RHP Dan Haren to the minor leagues. August 1, 2015 Chicago Cubs activated RHP Dan Haren. July 31, 2015 Miami Marlins traded RHP Dan Haren and cash to Chicago Cubs for RHP Ivan Pineyro and SS Elliot Soto. November 25, 2013 Los Angeles Dodgers signed free agent RHP Dan Haren. July 8, 2013 Washington Nationals activated RHP Dan Haren from the 15-day disabled list. June 25, 2013 Washington Nationals placed RHP Dan Haren on the 15-day disabled list retroactive to June 23, 2013. Right shoulder inflammation. December 7, 2012 Washington Nationals signed free agent RHP Dan Haren. 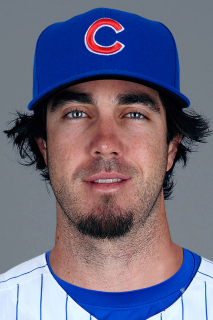 November 3, 2012 RHP Dan Haren elected free agency. July 22, 2012 Los Angeles Angels activated RHP Dan Haren from the 15-day disabled list. July 16, 2012 sent RHP Dan Haren on a rehab assignment to Inland Empire 66ers.